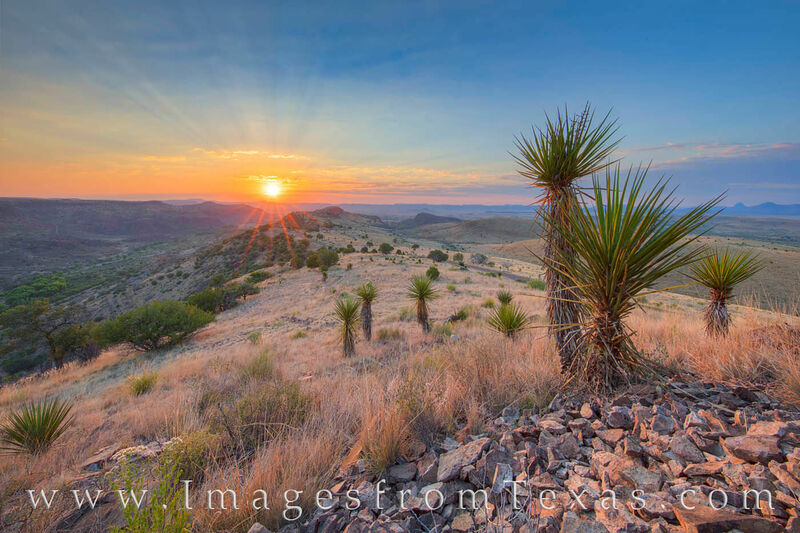 Sunrise from one of the higher locations in the Davis Mountains shows the beauty of this west Texas landscape. The summer air was calm and the ancient mountains rose and fell all around me. This vantage point was taken along the Skyline Drive Trail. Just down the path, this hiking trail connects with the CCC trail and leads down into the historic Fort Davis National Historic site. Photo © copyright by Rob Greebon.